We're proud to provide CP Federal Credit Union members access to a wide array of services, including investment services. Financial Consultant, Terry French, is here to help you with all your investment needs. 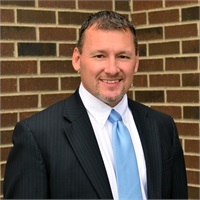 Terry earned his business degree at Greenville College and has a financial background in banking and mortgages. Previously, he worked for Edward Jones Investments for over three years. He holds a series 7 and series 66 securities registrations with LPL Financial and can help you with a number of items including mutual funds, annuities, investment trusts and individual stocks. He has a passion for the planning side of the business and enjoys helping clients map out their retirement income as well as finding efficient tax strategies to try to grow their money. Terry looks forward to assisting each client in their unique situation and helping them pursue their long term financial goals.